Cling wrap grips tight, seals easily and protects the food you love, helping to keep it fresher, longer. Microwave-safe construction does not contain any plasticizers to let you reheat with confidence. Carton features a serrated edge for easy removal. 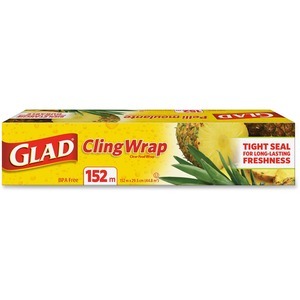 Cling wrap is perfect for protecting vegetables, fruits, poultry, meats and more.